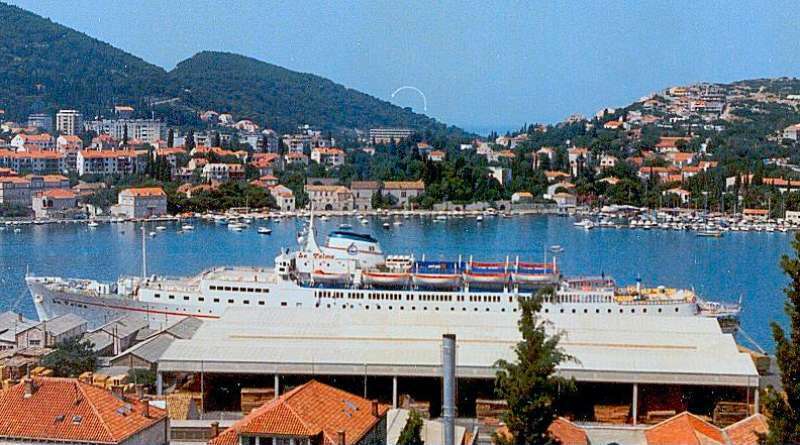 Greek owned cruise ship LA PALMA in Gruz, Port of Dubrovnik in summer of 1981.Photo taken with an old 110, from my mom's balcony while on the first vacation in the old country. Engine two 10 cylinder B&W Le Creusot diesels with total output of 9104 kW @ 17.0 knots/Capacity as built 496 passengers. This photo has been shown 956 times since it was added to the site.